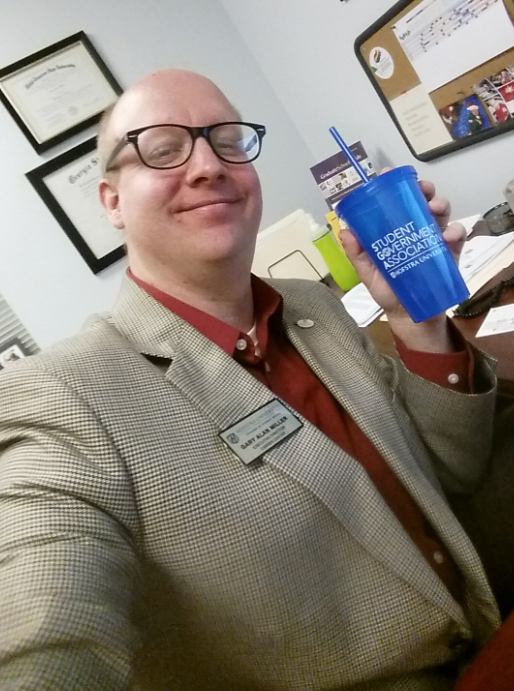 Congratulations to our #HUInternSelfie Winner, Mitchell! Visit our website to find out how to participate! 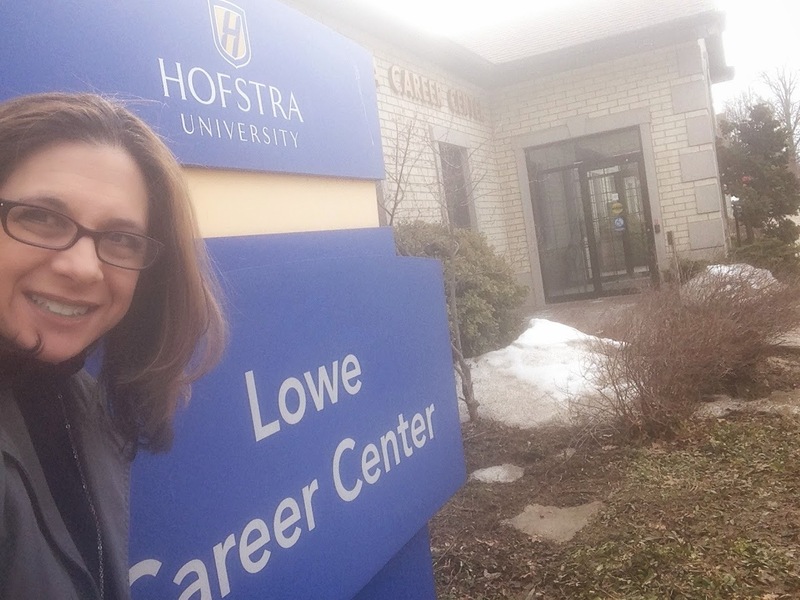 In order to participate, you need to follow us on Instagram (@hofstracareer), tag us in your weekly selfie submissions and use the #HUInternSelfie hashtag. To see all submissions, we will be checking the #HUInternSelfie hashtag on Instagram. If your profile is on private, we will be unable to view your submission and it will not count towards the challenge. To know if we have received your submission and is counted towards the challenge, we will 'like' your photo. In order to be put in the $250 Nordstrom gift card raffle, you must complete 5 of the 6 challenges! Selfie of you in front of your site! Selfie of you with a sign that includes your name, class year, and name of internship site! 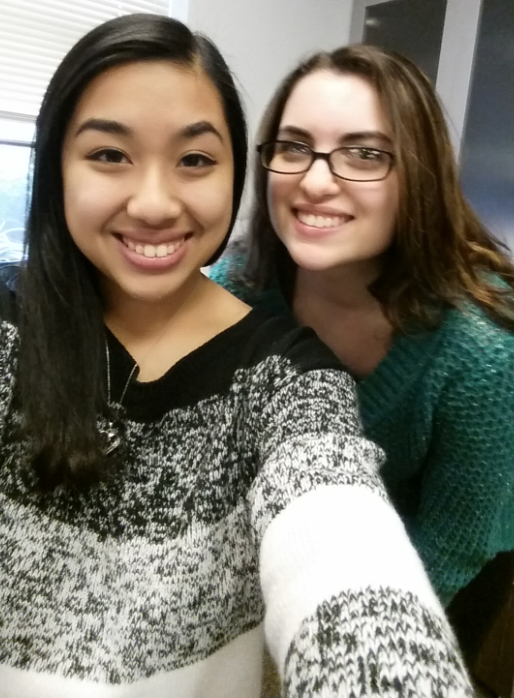 Week 1 of the #HUInternSelfie Challenge! Selfie of your professional outfit of the day (OOTD)! 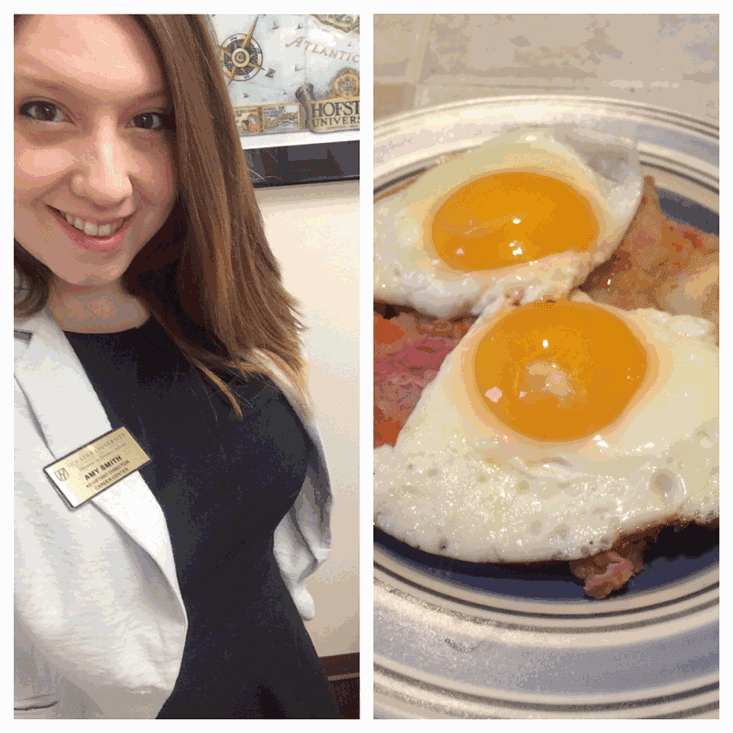 Selfie of you with your breakfast for champs before your day! 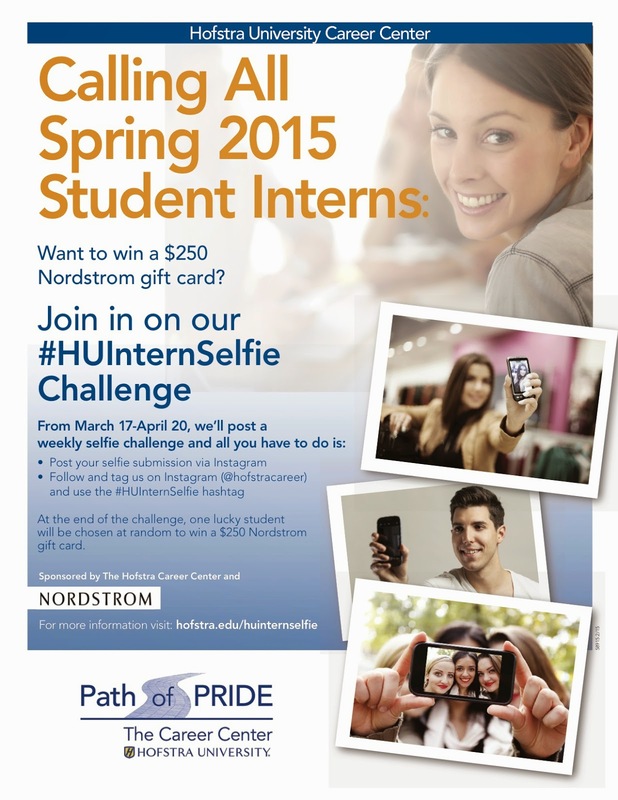 challenges for Week 2 of the #HUInternSelfie Challenge! Selfie of you with your Supervisor! 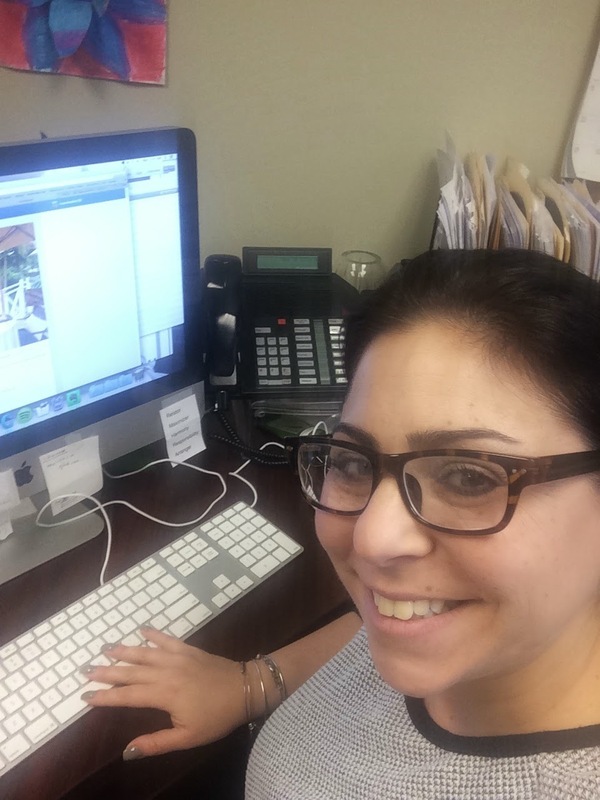 Selfie of you completing an assigned task! taking a selfie completing an assigned task! Selfie of you with a co-worker, who is NOT your supervisor! Selfie of you having lunch at your site! 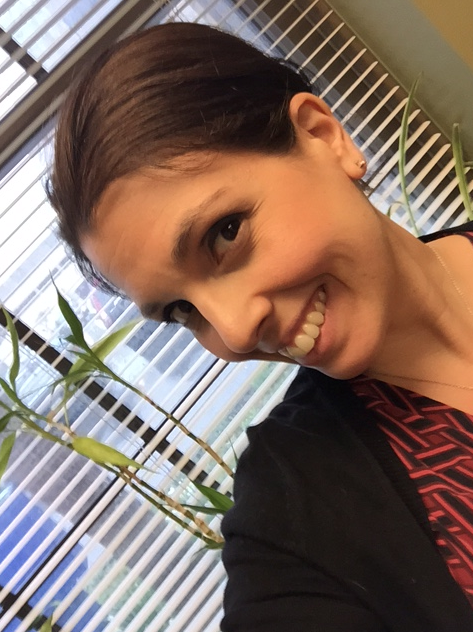 completing Week 4 of the #HUInternSelfie Challenge! Selfie of you with a company mascot! Selfie of you with the view outside your site's window! Selfie of you with a company logo! taking a selfie with the view outside her window!